I admit to not really being big on traditional jewelry. 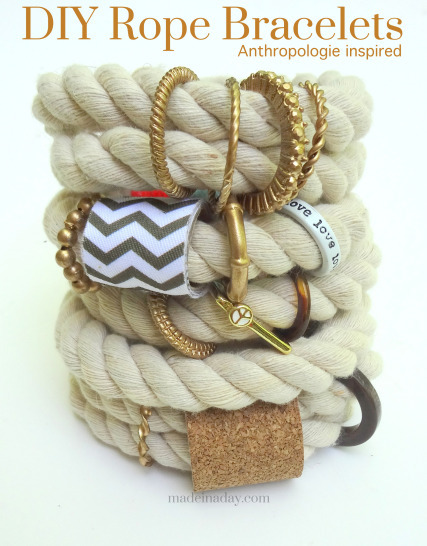 But when I came across these amazing DIY rope bracelets, I knew they were for me! Inspired by an Anthropologie design, Kim set about recreating her version. The first step is cleaning up those rope ends so they can be attached. Did you know a glue gun can come with a low setting? I need a new glue gun! And then the real fun begins. Kim takes you through loads of ideas on trinkets to add as well as how to make your own beads. Very cool!